No. 2 ranked WR George Campbell has decommitted from Michigan. He decommitted Friday, didn't want it out for awhile but that happens. This news isn't super surprising, especially if you noticed his twitter bio no longer said "committed to Michigan" last week. The best news of the situation is how TomVH and Steve Lorenz (who drops a new WR name to look out for) both reiterated that Michigan is still in it with Campbell and that he's just re-opening his recruitment. 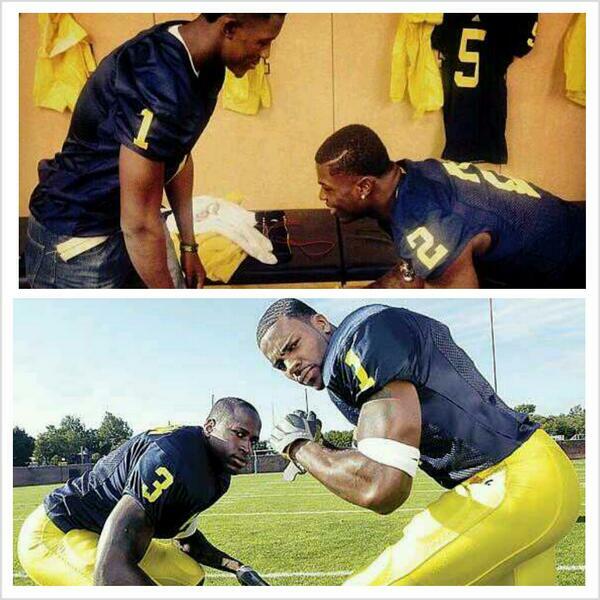 Moving forward, you better believe Hoke and co. will still put a full court press in getting Campbell back on board. Michigan still has an advantage over everyone else; Campbell obviously saw something in Michigan and that's why he committed. Let's not forget that. Or the fact that current commit Mason Cole is a teammate of Campbell's. I've heard three teams who will more than likely enter into the picture: Florida St., Florida, and Clemson. To me, Clemson and Florida St. will be the biggest competitors. Florida St. is a no-brainer. They arguably have the best receiving core in the country, a Heisman winner, and about to play for the National Championship. Clemson will make a push due to the success of their WR's is recent past (Hopkins and Watkins) and fellow teammate and past Michigan recruit WR Artavis Scott is committed there as well. Buckle up for the ride, ladies and gents. Cheers to reeling back in on of the top players in the country this go-around. 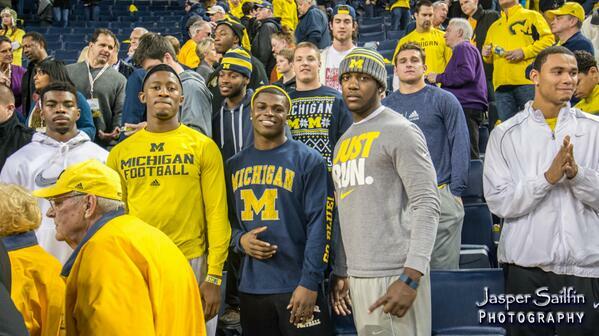 From @JabrillPeppers - "I’m 100% going blue." 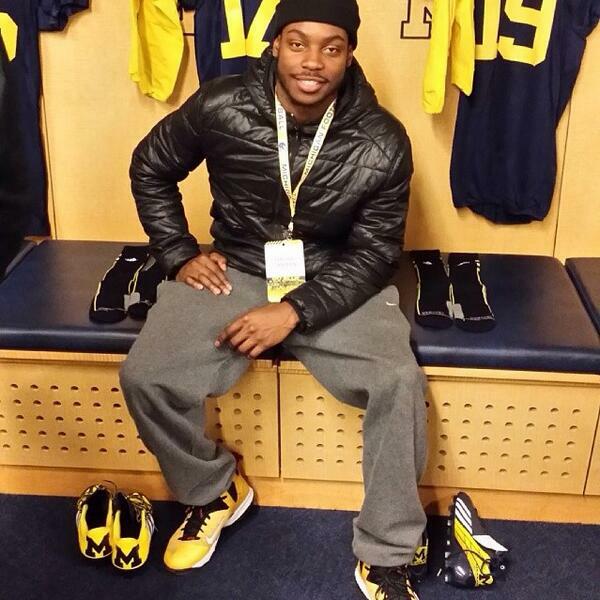 '15 NJ WR Irvin Charles -has an offer. Junior season highlights via HUDL. '16 OH DE Prince Sammons - kid has an offer and is blowing up in the recruiting world. 6'8", big frame. Sophomore season highlights via HUDL. 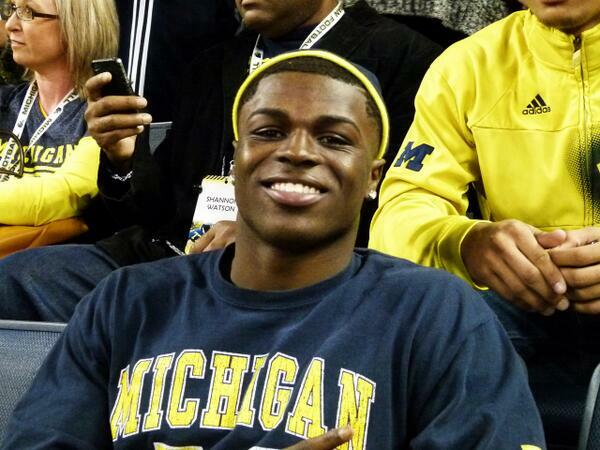 Please, michigan fans, whatever you do, respect George and his decision. Prove that you're classier than other fans & do not bash him! Now, I'm not talking to all you. Most the Michigan fan base is filled with classy, die hard Michigan men/women. But there are a few who aren't; Don't be the ones who ruin it for the rest of us!